One nice thing about the justice system in Wisconsin is that they recognize that people sometimes make mistakes when they are younger that shouldn’t necessarily follow them around for the rest of their lives. Wisconsin expungement, or clearing one’s criminal history is therefore available to people that meet certain criteria. 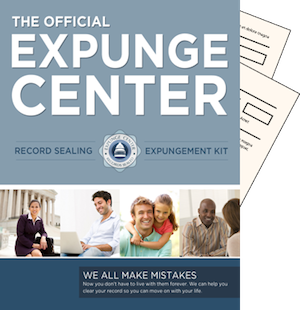 If you meet the criteria, you have a couple of options: you can hire a lawyer and pay a lot of money, or you can use our easy to use expungement kit and file the necessary documents yourself. Clearing your criminal history doesn’t have to be expensive. In addition to the documents that you require to file, the kit contains a guide that will show you what the steps are and exactly what you need to do every step of the way. To expunge record in Wisconsin, you need to take a look at the type of crime that occurred and how old you were when you were charged. If you were under the age of 21 and were convicted of a misdemeanor and have made all restitution and completed any sentencing, you may apply to clear your history. Of course it is important to point out that in addition to court files, Wisconsin also uses an online database that allows people to do a records search of any court case that has ever happened. The only way that you can remove yourself from that database is if it is not a criminal case and it is a situation where you may be physically threatened if you are not removed from the database. Wisconsin also allows people who were charged and convicted before they were 17 years old to petition the court to have their files cleared. I was never convicted. Will the kit help me? If you were not convicted or found guilty, you can definitely use the kit to ask the court to erase your history. Inside the kit you will find all the forms that you need to begin putting your life back on track. In Wisconsin, in addition to court files, the arrest record and the fingerprint cards are put into a centralized repository where they can show up later. If you were never convicted, i.e. the charges were dropped by the prosecutor or the court, you were found not guilty, or the charges were dismissed, you can use the kit to ask the court to also remove your arrest fingerprint card from their file. Please note that it is only possible to remove the fingerprint card if the offense that you are trying to clear is the only one that you have. Otherwise, the fingerprint card will remain on file to mark any other crime or arrest that has been made. If I have a conviction that occurred when I was older than 21, can I use the kit? In Wisconsin, you will not be able to erase your history in that circumstance, so you would have to first pursue trying to overturn the verdict with a lawyer. If successful, you could then return and use the kit to clear your history.